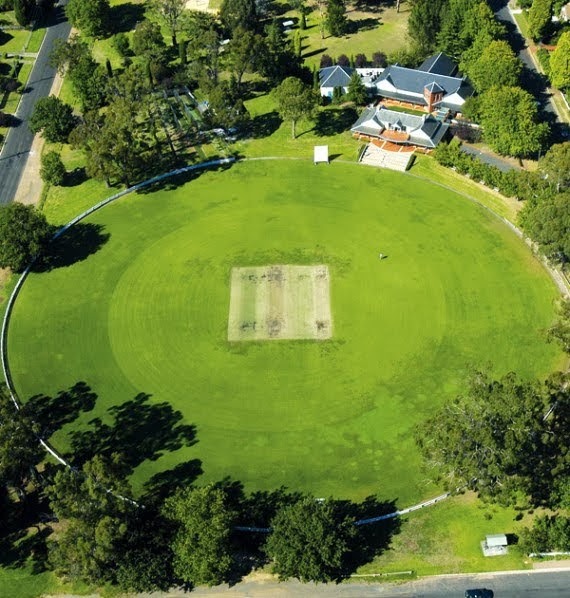 THE Bradman Oval and Museum at Bowral in the NSW Southern Highlands. FOR most of us, March the 5th will most likely be just another day, but for cricket tragics it's one that will have them dusting off the record books, brushing-up on the trivia, and recalling with fondness the greatest batsman of all time, "our" Don Bradman. Because it was on March the 5th 1949 that The Don played his last-ever first-class game, a testimonial between Victoria and South Australia for his good mate Arthur Richardson at the Adelaide Oval. Unfortunately it wasn't to be one of his finest: playing for South Australia he scored just 30 in the first innings, and later while fielding trod on the ball and had to sit-out the second innings with an injured ankle. But that disappointment pales into insignificance compared with that of the year before at The Oval in London, where in his final Test innings before retiring, The Don needed a miserly four runs to finish his Test career with an unheard-of average of 100. And he must have had a premonition, because it's claimed that as he strode onto the ground he remarked aloud "What if I fail?" 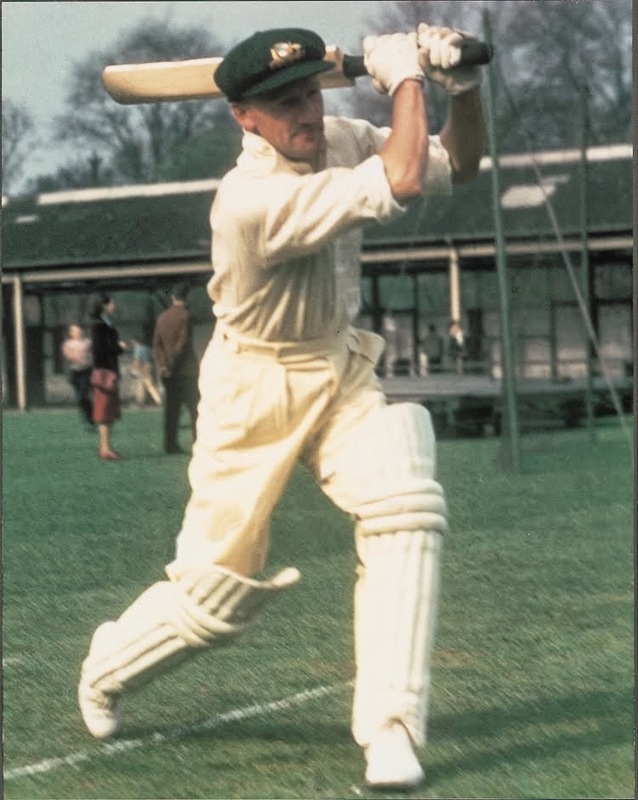 To his horror, that of team-mates, spectators packed into The Oval stands, and the countless thousands staying up late to listen to the ABC'S cricket commentary on their crackly old valve radios back in Australia, he did just that: Don Bradman was bowled for a second ball duck – leaving him not with a Test-career average of 100, but one of 99.94.
that honours him at Bowral today. It's said that the ABC's then General Manager, Sir Charles Moses (himself a former ABC cricket commentator and aficionado) had the ABC's postal address in every capital city changed to PO Box 9994 in recognition of Bradman's average – but latter-day staffers write this off as urban myth. Its yarns like these that many a cricketing buff can instantly recall, and which the Bradman Museum and International Cricket Hall of Fame in his home-town Bowral in the beautiful NSW Southern Highlands, feature in their wondrous collections and displays that enthral thousands of visitors annually. 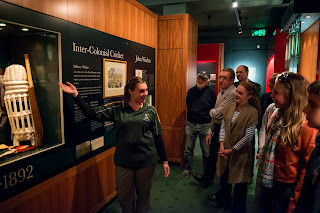 And while most are teens or adults who already know either lots, or at least enough about the game and The Don to entice them to visit the Museum, it also has an interesting program that pitches – excusing the pun – to a much younger audience, one as young as three years of age. with Assistant Curator, Belinda McMartin. "It's all part of the whole, wider program about cricket the game, and Bradman the man," says the Museum's Education Officer, Cindy Pryma. "We introduce the great man to the pre-schoolers in several ways, such as putting together a giant jigsaw puzzle created from a photo of Bradman in action. 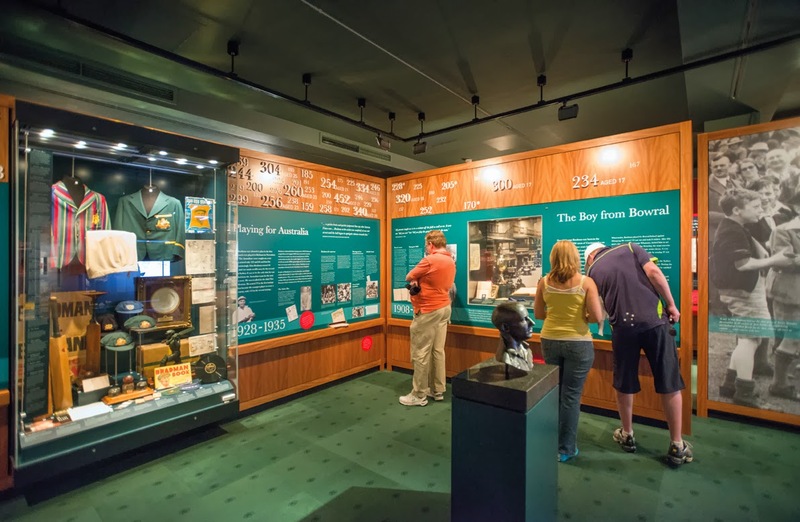 Bradman Museum and International Cricket Hall of Fame. 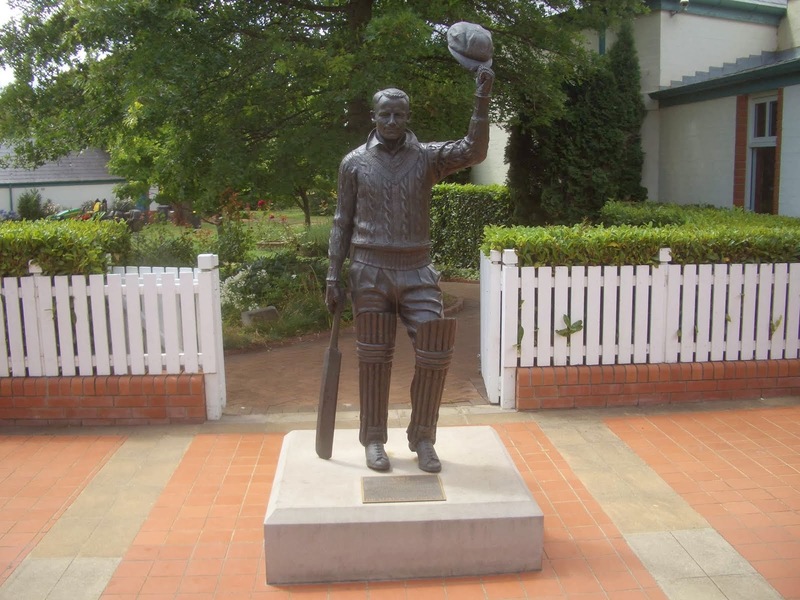 "They get to know how truly special he was… famous not only in Australia, but all over the world, and so they actually learn something of Australia's culture through Don Bradman." And they learn how the world has changed much since his time. "For example we have a photo of Bradman reading a telegram," Cindy says. "The other day a youngster asked what was the strange piece of paper he was holding… we had to explain what a telegram was, and how telegrams are now just history." corners of the Bradman Museum. 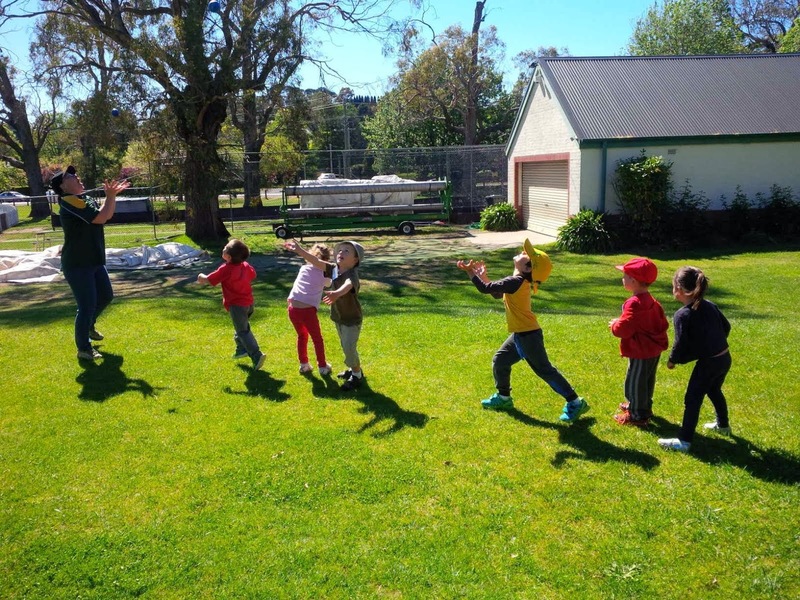 Cindy also says younger visitors find it intriguing that the Australian cricket team used to journey to England by ship in a time before jet travel, how long it took and the many exotic ports they visited. And fact boards and displays have plenty to captivate and interest older visitors to the Museum too, such as The Don being the only Australian to twice score a century and a duck in the same Test match, and how in a social match in the NSW Blue Mountains in 1931, Bradman knocked-up an amazing century from just three 8-ball overs (33, 40 and 27) – while his batting partner scored just two. And how in 1930 Bradman set a world record Test score of 334 at Headingley, Leeds – and later the game was stopped so a telegram could be delivered to him while he was actually fielding. It was from a wealthy Australian living in England, saying he was giving Bradman 1000 pounds in appreciation of his 334-run effort.